Domaine Clusel-Roch (pronounced Cluzel-Roke) started asDomaine Clusel, founded by the René Clusel, who began bottling his wine in 1969. At the time, René Clusel had but 1 hectare of vineyard along with many hectares of apricot trees. One of his holdings was a tiny parcel on Les Grandes Places, a lieux-dits in the center of the slope above the hamlet of Verenay in northern Ampuis. The vines had been planted by his father Baptiste Clusel before World War II. During the seventies, the wines of Côte Rôtie did not have the reputation that they have now, but René's wines were always appreciated by connoisseurs. René's son Gilbert decided to continue in his father's winemaking footsteps and completed his enological studies in 1977. The domaine, however, was too small to provide income for two families. 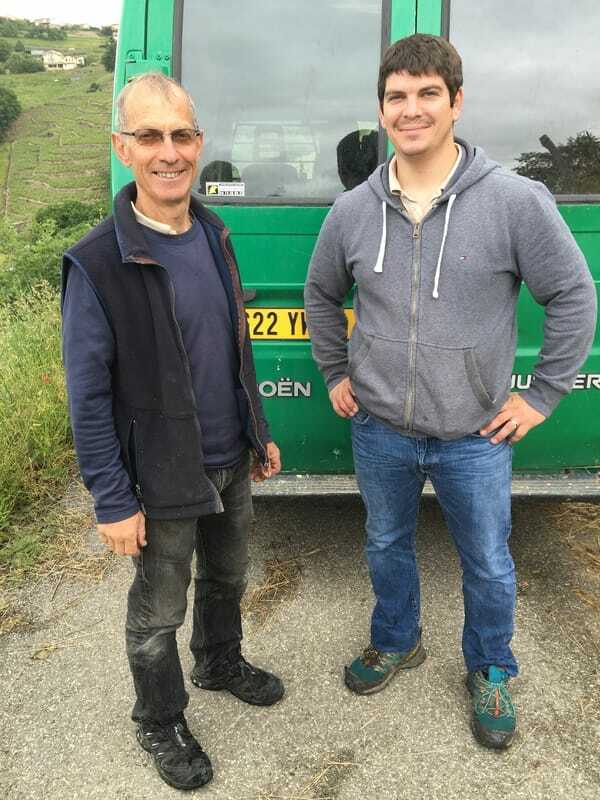 Gilbert consequently chose to rent some vineyards and begin producing his own wine, while at the same time helping his father both in the vineyards and in the chai. Still the vineyard surface was miniscule. At only about .25 hectares, the first vintage in 1980 produced only 1,000 bottles! Little by little, Gilbert rented more land and began to give value to the fifty-year-old vines that had been abandoned while at the same time planting new vines. Finally, in 1986, his holdings reached 2 1/2 hectares, although not all of those vines were yet in production. When René Clusel retired in 1987, his vines were taken over by Gilbert. For the first time, the parcel inLes Grandes Places was bottled separately. Two years later Domaine Clusel became Domaine Clusel-Roch, incorporating the name of both partners, Gilbert Clusel and his wife Brigitte Roch. This also gave the domaine an identity of its own. 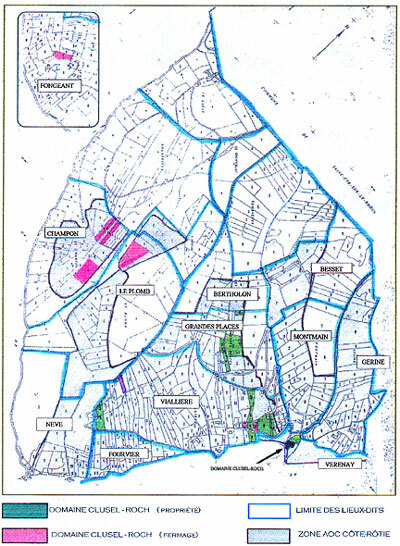 Today the property remains tiny: Just 3.5 hectares in Côte Rôtie and 1/2 hectare in Condrieu. The chai, built in 1992 in Verenay, is attached to their house and just next to the house of René Clusel. Being on the side of the sloped hill of Côte Rôtie allows Gilbert and Brigitte to take advantage of gravity and naturally treat their fruit gently by avoiding the usage of pumps at vinification time. After ten years of experimenting with their various parcels, the domaine officially converted to organic farming in 2002. The vines themselves are planted on terrasses along Côte Rôtie. Two pieces of wood are tied above the vine helping them to resist the often violent winds. The vines are cultivated while respecting the land. The work is for the most part manual — no chemical fertilizers are used. Instead the soil is tilled by hand with picks, hoes and hand-plows. Medicinal herbs are used to prevent maladies. The Côte Rôtie vines are located in the northern part of the appellation facing southeast over the Rhône River. 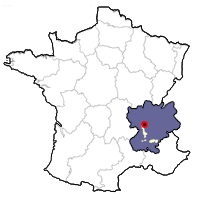 This area is known as the Côte Brun, as opposed to the south called theCôte Blonde. 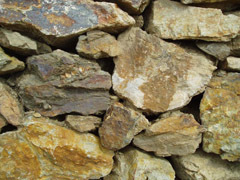 The soil includes decomposed schist, also known as l'Arzel, containing black and white mica. The black mica has faded to dark brown, which in turn has given it the Côte Brune name. This schist descends about half a metre. 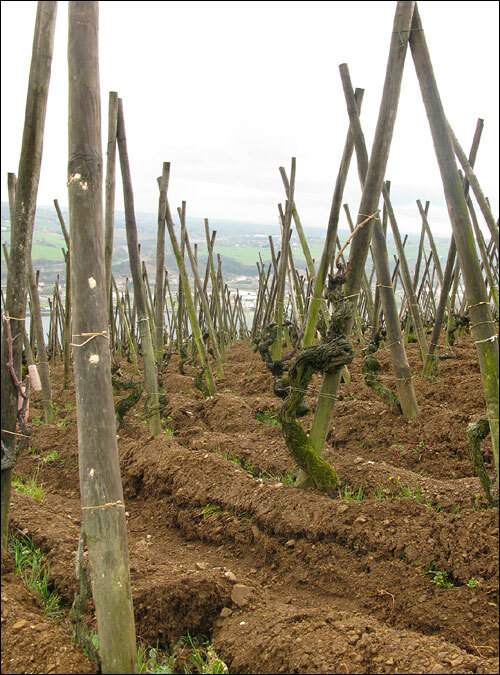 The roots of the vines, however, actually descend several metres deeper. At this depth, the vines pick up certain nutrients that add to the Côte Rôtie taste. 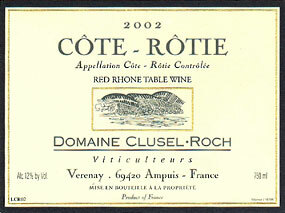 About a third of the Clusel-Roch vineyards have vines more than thirty years old. The rest are of vines less than twenty years old. To best express the qualities of the vineyard, the domaine only replants grapes from their own selection ofSerines (the traditional Syrah plant of Ampuis). For the plantings after 1990, the grapes come from their own nursery on their property and are grafted from their vines in Les Grandes Places. According to Gilbert, these vines are less productive and give more complex aromas than the modern selections. Roughly 4% percent Viognier vines are interspersed among the Syrah. During September, the maturity is analyzed both scientifically and by tasting the actual grapes. The harvest is manual, in small cases with a capacity of 25 kg. An initial selection is performed in the vineyard. When the grapes arrive in the chai, the leaves are removed and partially destemmed. The yield is relatively low — about 35 hl / ha or about half a bottle per vine. The press is an old vertical press, which is very gentle and helps give the wine additional finesse. The vinification is classic, with punch downs, pump overs and temperature control. This fermentation normally lasts two to three weeks, depending upon the vintage. The wine is then placed in barrels, with the press juice kept separate until the malolactic fermentation. The barrels have their origin in Burgundy, at Maison Sirugue in Nuit-St.George, with origins in Allier, Nièvre and Bourgogne. About 20% new oak is used each year, the rest in second-, third- and fourth-use oak. The barrels are lightly toasted after three years of air drying. The point is not for the oak to dominate the wine but to marry harmoniously with the final product. Two thirds of the Condrieu is fermented in barrel, while the rest is raised in stainless steel. Like with the Côte Rôtie, no yeasts are added to the must. Instead, only indigenous yeasts are used which further allow the vineyard to express itself. The élevage lasts two years for the Côte Rôtie, and one year for the Condrieu. The Côte Rôtie is racked four or five times during this time. These racking help to clarify the wine so that it can be bottled without fining or filtration. 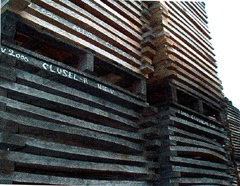 Annual production at Domaine Clusel-Roch is about 15,000 bottles a year. This cuvée comprises 80% of the domaine's production and comes from Verenay vines, mostly from the lieux-dit Viallière, but also Le Champon, Le Plomb and Verenay. 2002 Tasting Notes: Deep ruby color. Nose hints at red fruit, blue fruit and a touch of cola. Supple texture with lovely Syrah spice underneath. Round, with nice underlying acidity and well-integrated tannin on the finish. This cuvée is produced in the lieu-dit Les Grand-Places, above Verenay. The parcel was planted in 1935 by Baptiste Clusel, the grandfather of Gilbert Clusel. This parcel is planted exclusively with the vieilles Serines vines. The yields are relatively low, between 30-35 hl / ha, and the vinification is traditional — little destemming and a 15-day fermentation. The aging is in 50% new oak and 50% in one year old oak. The wine spends two years in barrel. This cuvée produces approximately 10 barrels a year. The first vintage was in 1988. Since 1990, the entire parcel has been bottled separately, with a production of just 2,500 bottles. No Grandes Places was produced in 2002. The grapes instead went into the Cuvée Classique. The Condrieu vines are located along the Coteaux de Chery, just to the south of the village of Condrieu. The soil is a decomposed granite, which is very well drained and warm. The vines were planted about twenty years ago, and the first harvest was in 1987. The grapes are sorted in the vineyard, and damaged fruit is rejected. 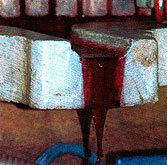 A vertical press extacts the juice and the must is allowed to settle. Two-thirds of the juice goes into new oak and one third in stainless steel. The fermentation takes about three weeks and afterwards the wines are aged sur lie. Malolactic takes place in the spring. The wines are lightly fined and filtered before bottling. 2003 Tasting Notes: Deep golden color. Ripe Viognier flavors of peach, apricot and vanilla. Still retains decent acidity, considering the heat of the vintage.